Jagruti's Cooking Odyssey: Noodles and Peanut Salad ! 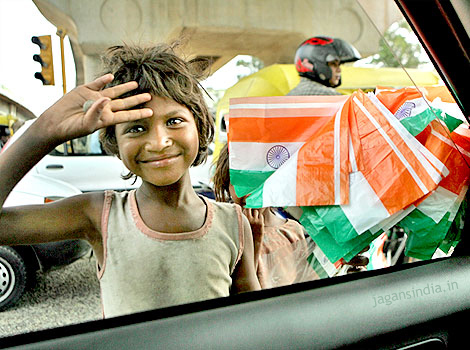 Its the 15th of August which means it could only be one thing - the Independence Day of India! Millions of people around the world will be standing with pride as the Indian flag is raised upon a mast. I think though, that this year, I need to address some of the reasons why I am not so proud as an Indian. Every Indian around the world takes so much pride repeating this that we Indians discovered the zero and began to understand zero both as a symbol and as an idea before anyone in the world. But sadly I would say in current times India has forgotten how to count ! Indians have forgot to count how India has its swelling population. India has forgotten to count how many girls are brutally abused and killed everyday and still no one wants to address these issues, how many children working or abused by their owners and surviving in appalling conditions. India has forgotten that how many illegal migrants are fleeing India, and causing so much nuisance to other countries, UK is flooded with the people from Asian countries coming here on the so called student visas. These same people are having children left right and centre and these people just litter the place up and make it polluted like the way it is back home. I am sure the Indian government and it's people are just turning a blind eye towards countless surging crime, corruption and poverty. Another thing, most in India complain (and it's also shown in bollywood movies) that it's the western culture that influences their children. That that is the reason that youngsters there go wild, apparently like the youngsters from places like UK and USA. The only way to prove this theory is to find one western country that is more behind than India. I think you'll find that there isn't one. It isn't the UK's fault that girls and boys in India have no idea how to behave or react if they go to parties etc. If they really want to embrace the western culture, then how about embrace it completely. According to Indians, we are meant to be the most respectful towards our elders more than any other culture. How many cases have we heard or seen where sons keep their parents chained on a roof terrace because they can't be bothered to look after them? I haven't seen any case in the UK like this! A proud Indian should bow his/her head in shame of what is happening in India today, but can hold their head high because of the past legacy of greats such as Mahatma Gandhi and many more of pre-independence India. Today I hold my head high only because of these souls of history !!! and doing that I am bringing to you Noodles and Peanut Salad, I have used three ingredients of the colours Orange, white and green which represents the Indian flag. The recipe has the perfect balance of what you could want in one recipe. The noodles provide the carbs, the nuts and the vegetables provide the protein and all those essential vitamins and minerals! The dish tastes good whether it is eaten hot or cold and it's great to pack into a lunch box to take with you. The fact that most of the ingredients can be bought fresh gives the recipe a real kick. Place rice wine vinegar,sesame oil,soy sauce,lime zest,lime juice,finely chopped cloves garlic finely chopped red chilli,brown sugar, flakes,pepper powder and salt in a bowl and whisk it. Leave it aside. Boil noodles, beans and carrots in a boiling water for 3-4 minutes, and drain the water. Add dressing, cucumber, spring onion and chopped herbs. Mix well, sprinkle with roasted peanuts. This looks really delicious.Beautiful presentation. Very well written and 100% true.. When I sent my kids to USA for higher education I was wondering whether I have taken a right descision sending them away at young age to a distant foreign land. But believe me, the environment there is much better. Kids know what they are doing.Kids of certain age are not allowed to enter the bars. Even if they are accompanying their parents they get a neon stamp on their hands so that the waiters don't serve them drinks. By the way.. the noodles look awesome and I am loving the tangy sauce.